It's time to share yet another beautiful essay crafted from spending time with a flock of chickens. This particular essay, Pecking order, was written by Peter Lennox and appears on the Times Higher Education site. Watching chickens is a very old human pastime, and the forerunner of psychology, sociology and management theory. Sometimes understanding yourself can be made easier by projection on to others. Watching chickens helps us understand human motivations and interactions, which is doubtless why so many words and phrases in common parlance are redolent of the hen yard: "pecking order", "cockiness", "ruffling somebody's feathers", "taking somebody under your wing", "fussing like a mother hen", "strutting", a "bantamweight fighter", "clipping someone's wings", "beady eyes", "chicks", "to crow", "to flock", "get in a flap", "coming home to roost", "don't count your chickens before they're hatched", "nest eggs" and "preening". In the essay, Lennox makes great observations about chickens' environmental preferences and territoriality, their personality traits and behaviour and their inquisitiveness, teaching and learning. If you have (or had) your own flock, you'll find yourself nodding your head in agreement with many of Lennox's observations. 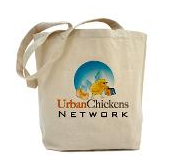 If you've yet to experience a flock of your own, you'll see why we urban chicken farmers so love our hens. So, grab yourself a cup of tea or glass of wine (depending what time it is and how early you crack open your bottle) and enjoy the Pecking order essay. Then come back and share with us your favorite bits and how your own flock is similar or different. Thomas, thank you for sharing that great essay. I try to tell my family about the chicken attraction and maybe a copy of this will tell them better. At night when I complete the count and close the door on the hen house, I stand outside in the dark and listen to the girls quietly share their gossip of the day's events. That's a great article, thanks. I loved the part, "They complain if I don't get up and let them out of the hen-house soon after dawn." Our three chickens can really do a lot of squawking if we don't obey them! And we have one bossy hen who chases our dog. Do urban chickens attract urban rats?